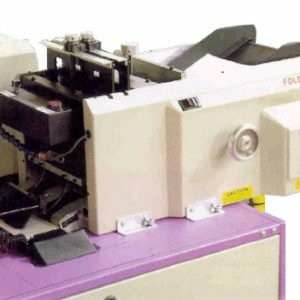 Mailcrafters Edge Series 9800/9800L High Speed Inserting System - Roberts Business Machines, Inc. 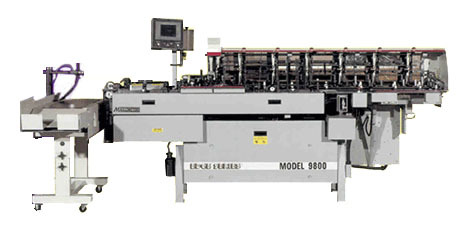 The Mailcrafters 9800/9800L High Speed Inserting System is universally known as the best production value for the busy mail center and/or office environment. Engineered for reliable and long lasting service, the 9800, receiving periodic enhancements, has been in production for over 30 years. It will automatically collate, stuff, seal and stack envelopes or pass them through an inline postage meter to yield a finished mailing ready for bundling. The basis of its smooth high-speed operation is the parallel or conjugated cam. Mailcrafters gripper arm detection system guards against missed or double inserts and is regarded as the most reliable in the industry. Document selection and separation from the insert stations is by vacuum control which gives 9800/9800L a high degree of consistency and reliability for all types of paper media. The Edge Series Model 9800/9800L is available in stacker, envelope turn-over, sealer-roller and conveyor configuration. Standard features include a safety two hand start and simple initial machine setup, without special tools. A true “operator friendly” inserting machine. The ultimate choice for any mail center and/or office environment.